Choose Action Verbs that Will Impact the Reader. A “hinge” allows a door to swing left or right, and back again. In making a legal argument, I use the term “hinge point” to refer to a single issue upon which an appeal may be won, or lost. In appellate advocacy there are often many issues raised on appeal and they may often be decided independently of each other. However, a technique that may be made on appeal in certain limited instances is to focus the resolution of the appeal on a certain single question of law or question of fact. In other words, you roll the dice for the entire appeal on winning that one single point. It’s a confident, win-it-all or lose-it all-strategy that avoids the weakness of providing the court a trailing litany of alternative arguments. This strategy can be put into effect several ways. You can decide upon using the hinge point strategy by raising only a single issue on appeal or by making a single argument against an issue, forcing the court to rule in favor of or against your client based on what you believe to be your most favorable point. Or you can argue in response to or in support of one or more issues, that a single fact or point of law controls the outcome. Thus, you decline the usual strategy of a multi-layered alternative argument approach. This is, of course, potentially a very risky strategy for either an appellant or the appellee. However, if your client was loser below, there’s nothing left to lose so why not approach the appellate court with confidence if you have an issue strong enough to stand alone? If your client was the winner below, this strategy may be appropriate where a point of law or a finding of fact is strongly in the client’s favor. If I’m seriously considering this approach where potentially meritorious issues will not be raised, and potentially meritorious arguments will not be made in order to support the strategy of focusing on a singular point, I’ve been sure to have a frank discussion with my client and obtain permission before implementing the strategy. In writing this blog over more than two years I have declined to comment on any specific opinion released by the Alabama Supreme Court because the purpose of this blog is to focus on appellate writing and court procedure rather than particular cases or opinions. There are other blogs and services out there that do an outstanding job of following the opinions released by the appellate courts. But earlier this year the Alabama Supreme Court recently released a pair of opinions that deserve comment because they affect the nature of litigation in the Alabama state courts for both plaintiffs and defendants. When I worked as a staff attorney for the Alabama Supreme Court in the 1990’s the justices of the Court believed that attorneys were abusing the rule allowing for appellate review of interlocutory orders by way of seeking a writ of mandamus (Rule 21, Ala.R.App.P.) and that the Court was too often being asked to do what those justices viewed as micromanaging litigation and second-guessing trial court judges. The Court sought to rein in use of the writ and return mandamus to its traditional role of being a very limited and extraordinary remedy. However, times have certainly now changed. 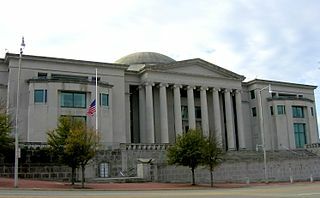 In the sister opinions of Ex parte U.S. Bank and Ex parte Hodge, released on the same day in February 2014, the Alabama Supreme Court plainly signaled that it approved of broader use of the petition for a writ of mandamus by trial counsel to bring a greater variety than ever of interlocutory orders before the Court for review. Justice Bolin’s opinion in U.S. Bank noted a laundry list of more than 20 types of trial court rulings that may now be reviewed by means of a mandamus petition. Seeing that list made me realize how much the breadth of mandamus review had slowly widened over the last two decades by a Court now willing to take on the burden of closely overseeing certain aspects of trial court litigation. a drastic and extraordinary writ that will be issued only when there is: 1) a clear legal right in the petitioner to the order sought; 2) an imperative duty upon the respondent to perform, accompanied by a refusal to do so; 3) the lack of another adequate remedy; and 4) properly invoked jurisdiction of the court. Ex parte United Service Stations, Inc., 628 So.2d 501, 503 (Ala. 1993) (emphasis added). In both Ex parte U.S. Bank and Ex parte Hodge the Court seemingly eliminated the usually difficult requirement for a litigant seeking mandamus relief to demonstrate that he or she lacked an adequate remedy by way of eventual appeal following a final judgment. In these cases the court found that the petitioners’ continued exposure to the costs of litigation through trial and appeal made waiting for a later appeal an inadequate remedy and that allowed for immediate mandamus review. Of course, because every lawsuit involves exposure to costs of litigation, especially if it is to proceed all the way to trial, there is no lawsuit in which this element would not be met. With this in mind, it’s easy to see that the opinions in Ex parte U.S. Bank and Ex parte Hodge have acted to open mandamus review for every interlocutory order where such review can be based on a settled question of law. In the past, I found some defense counsel I have worked with hesitant to take advantage of mandamus review even where it clearly then available, such as involving issues of document discovery. Perhaps factors such as the additional cost and delay in the litigation were important in those instances that dissuaded counsel from pursuing a writ of mandamus. However, the current justices of Alabama Supreme Court have now given defense counsel an unmistakable signal that the Court is willing to oversee large aspects of trial court litigation. Defense counsel should take advantage of the opportunity to influence the outcome of the litigation or even bring it to an early end, as with mandamus review of denials of motions to dismiss or for summary judgment. After all, many appeals to the Supreme Court from final judgments are “deflected” to the Court of Civil Appeals, and with Supreme Court continuing to deny certiorari review of the rulings of that lower court in almost every instance, a writ of mandamus filed “up front” may be more successful in obtaining Supreme Court review than an appeal after the fact. The time is now. Be aggressive. Go ahead and file that petition because mandamus relief is within reach. In Alabama, it’s no longer an extraordinary writ.